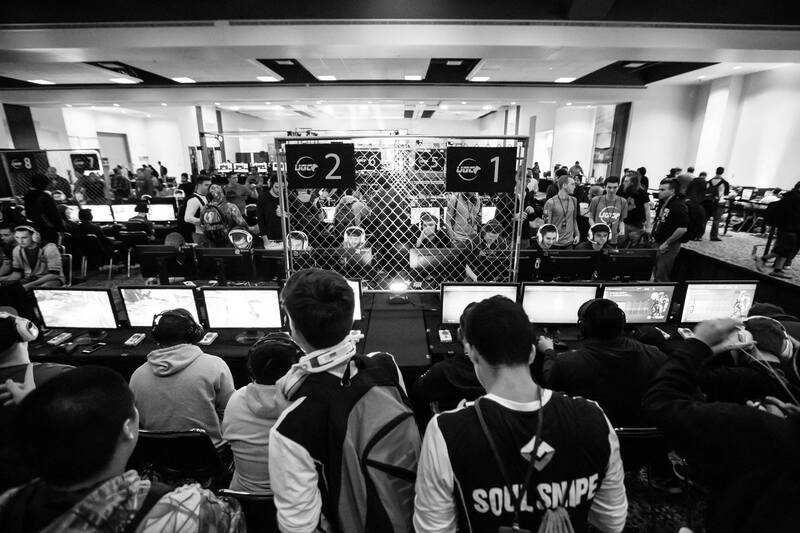 Competitors, fans, vendors and broadcasters agree that Gateway Center offers everything needed for a successful esports event. Gateway Center offers the fiber-optic gigabit internet infrastructure that eSports events need to execute the competition in real time and without interruption. 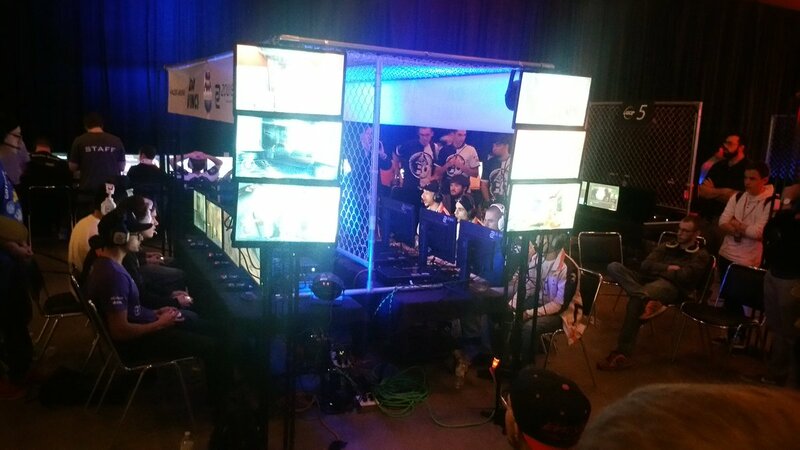 Our ultra fast, high density 1 GIG fiber optic internet accommodates eSports video gaming and live streaming. Gateway Center is in Collinsville, IL which is the centrally located in the Metro East IL Area and just 9 miles from downtown St. Louis. 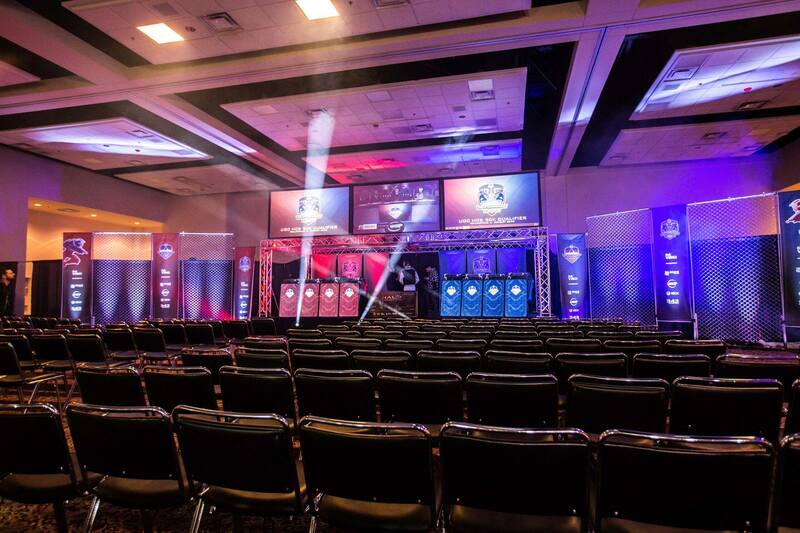 Our facility offers our clients access to 2.5 million people that can be attendees, sponsors, spectators, and vendors to your next event. The Eastport Plaza Hospitality District, where Gateway Center is located, is full of nearby hotels, restaurants, and attractions that add convenience, comfort, and enjoyment to your event. With 9 hotels in Collinsville, your group will have a variety of choices to pick from for their stay. 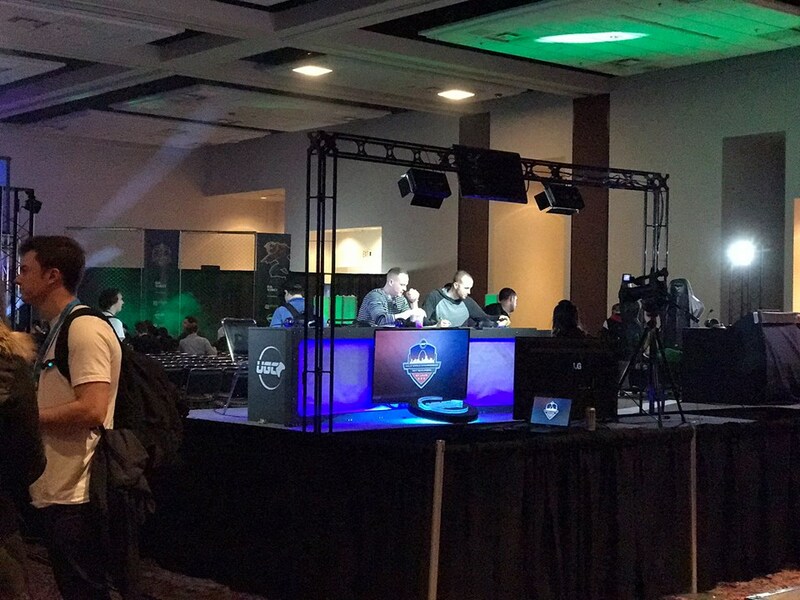 We can provide everything you need for your tournament from tables, chairs, staging, risers, pipe and drape for vendors, and more! Gateway Center has a full service in-house production company that can offer lighting, sound, AV, video, and rigging services. We allow clients to bring in their own AV, but we encourage you to let us provide you with a quote because we might save you money! 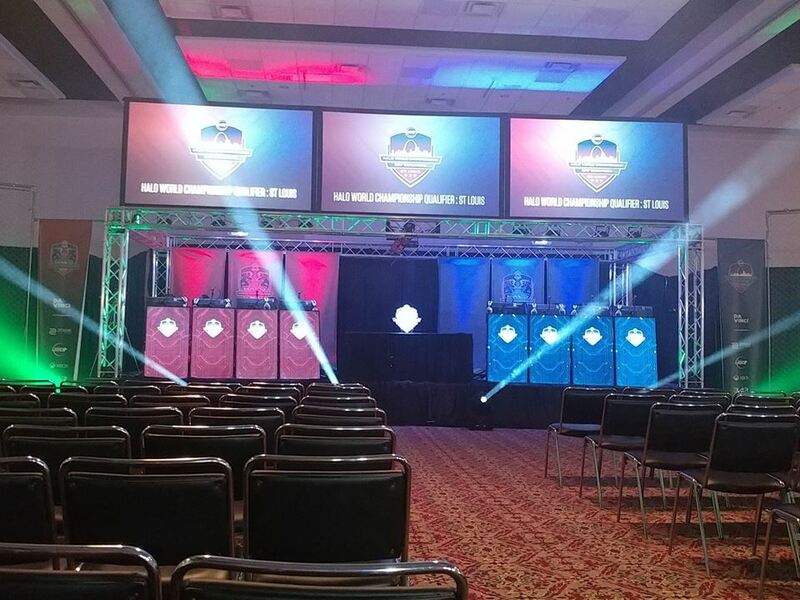 Call Gateway Center staff today at 618-345-8998 or info@gatewaycenter.com today to see how Gateway Center can help you bring your eSports event to the next level!